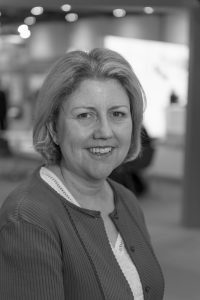 Julie is immediate past Chair of IWFM, previous Chair of WIFM and an Honorary Fellow of the Institute. Her industry awards include FM of the Year and WITC Woman of Achievement (FM). Her corporate career included establishing FM, CRE and Procurement at Channel 4 Television and she is now MD of her own business, Konnected People. Her current Non-Executive Director appointments include Intu Retail Services and the HMCTS FM Re-Procurement Board. She is also an independent committee member at Aster Group. A qualified coach and mentor, Julie is an accredited Myers Briggs and Clarity4D practitioner. She has an MA in Employment Strategy and is a Chartered Fellow of the CIPD.